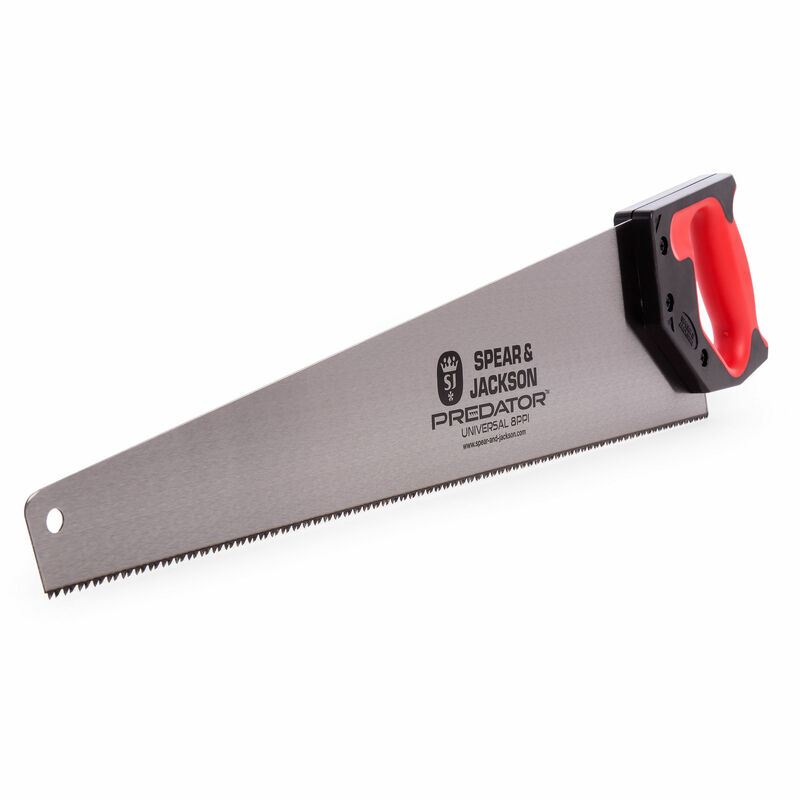 The Spear & Jackson Predator Universal Wood Saw is a fast cutting saw, featuring cross ground, hard pointed teeth which are expertly heat treated to last longer than the best of the rest. The Suregrip handle has a soft feel ergonomic grip and incorporates a handy 45 degree and 90 degree angle guide for a precision cut. The Predator has a rigid blade which minimises vibration and 'whip'. This saw is ideal for use on a variety of materials, such as timber, hardwood, chipboard and MDF.